Camp Shemesh is a summer day camp of the Jewish Community of Amherst, a Reconstructionist synagogue in Amherst, MA. Now in its 27th year of operation, Camp Shemesh serves a diverse community of families, JCA members and non-members alike. Camp Shemesh is expanding the JCA’s garden to provide food for the camp and other synagogue events, connecting people to nature through agricultural education, and nurturing a culture of stewardship at camp and within the JCA community at large. With its grant from the Gendler Grapevine, Camp Shemesh is hiring a stewardship coordinator to assist the camp in developing its environmental programming. The stewardship coordinator will explore creative models and sources of funding for the integration of environmental programs across JCA constituencies like young families, teen programming, adult education, religious school, and camp. 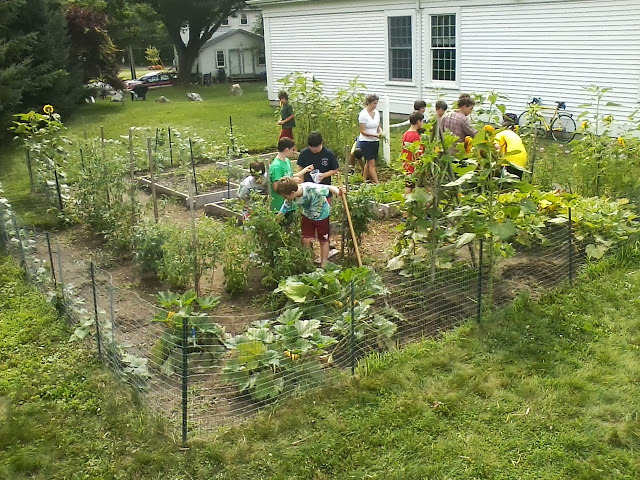 The goals of this project include a two-year garden plan with a corresponding curriculum map, groundwork for future camp development, and greater connectivity to environmental programming and sustainability projects at the JCA.